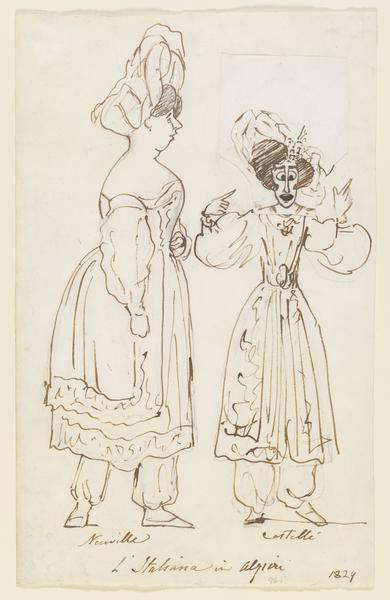 Alfred Edward Chalon, brush drawing of Madame Elise de Neuville and Madame Castelli in L'Italiana in Algieri. Alfred Edward Chalon. 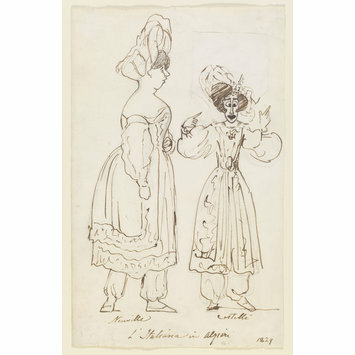 Madame Elise de Neuville and Madame Castelli in L'Italiana in Algieri, 1829. 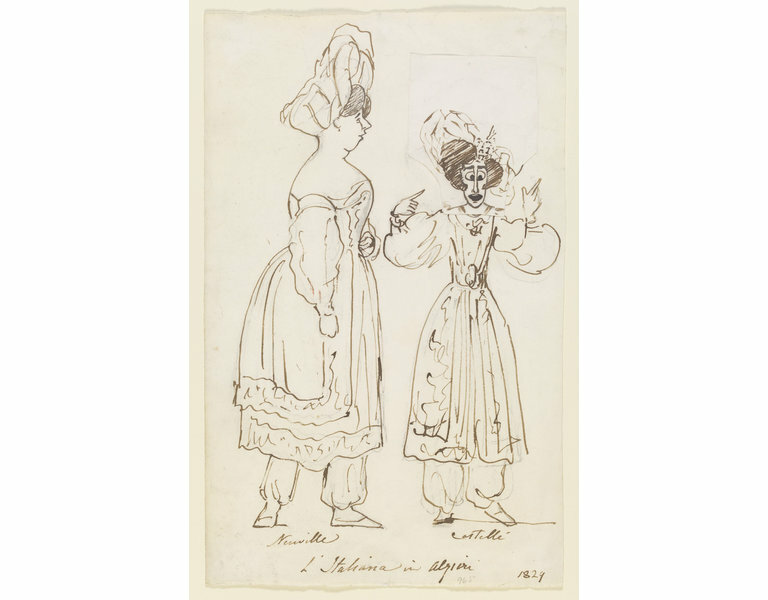 One of 100 assorted caricatures and sketches of opera, ballet and theatre performers, mostly made in London between 1820 and 1840.